Jonathan Lara had no idea immigration officers had been watching him. 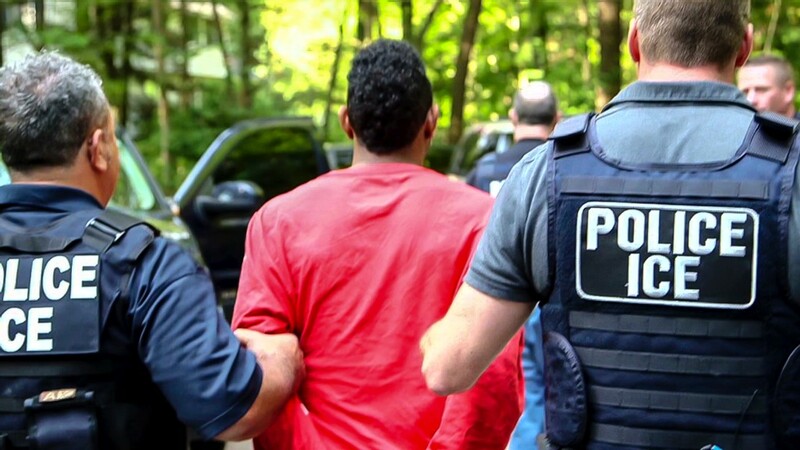 But when he stepped outside one morning last month, they swooped in, took him into custody, and began a legal process that could end with his deportation. Lara holds a green card that allows him to live in the U.S. It can be revoked if he violates the law. The officers said they arrested him because of a conviction for dealing heroin, an incident several years ago that Lara calls a youthful mistake. Now he faces possible deportation to his home country, the Dominican Republic. Roughly 370,000 individuals were deported last fiscal year. Most were apprehended when trying to cross illegally into the U.S., but about 133,000 deportations began with an apprehension like Lara's. Today, an estimated 12 million undocumented immigrants live in the United States. And reforming the immigration and deportation system is one of the most politically charged and difficult issues facing policymakers in Washington. President Obama has directed immigration officials to focus their efforts on those who have been convicted of crimes rather than, for example, the so-called "Dreamers," young people who arrived in the U.S. illegally at a young age. On Saturday, Obama announced that he would postpone until after the November election any executive action changes that would protect many undocumented immigrants from deportation. The Immigration and Customs Enforcement office that handles apprehension and deportation has a budget of some $3 billion. Each deportation costs about $23,000 to complete, including the apprehension, legal process, and eventual removal. Nearly 290,000 individuals were deported in fiscal year 2012 on government jets -- known as ICE Air -- and thousands more are moved on commercial planes. Lara and thousands of other candidates for deportation are awaiting hearings that will decide their fate. The average wait in a detention center: about 27 days.